Attention soldiers, outdoor enthusiasts, vegetarians and horticulturalists! The Watercolour Splash Camouflage wedding invitation from Olivia Samuel is calling you! 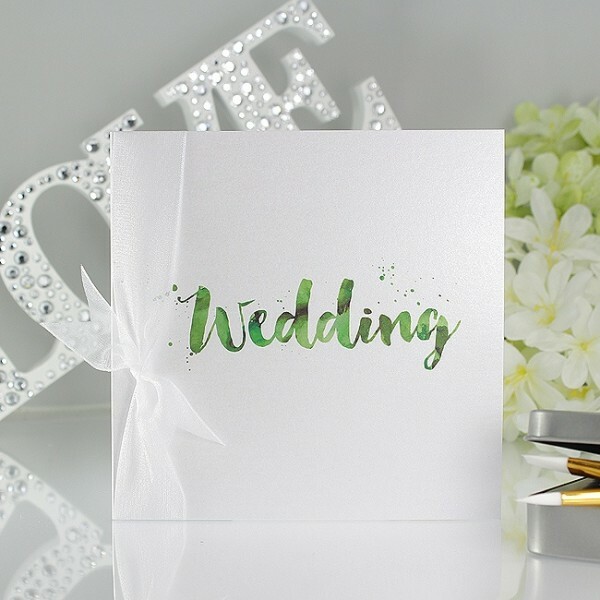 We love this simple yet effective invitation, not only for its eye-catching design, but because it is so versatile and could suit any couple and their wedding! If you’ve got green fingers and dabble in a spot of gardening or your other half is in the army, you’ll be able to integrate this design and its camouflaged colours into your wedding easily! Likewise, vegetarians, famers, organic advocates or even paint balling addicts will all appreciate the quirkiness of this range of wedding stationery. 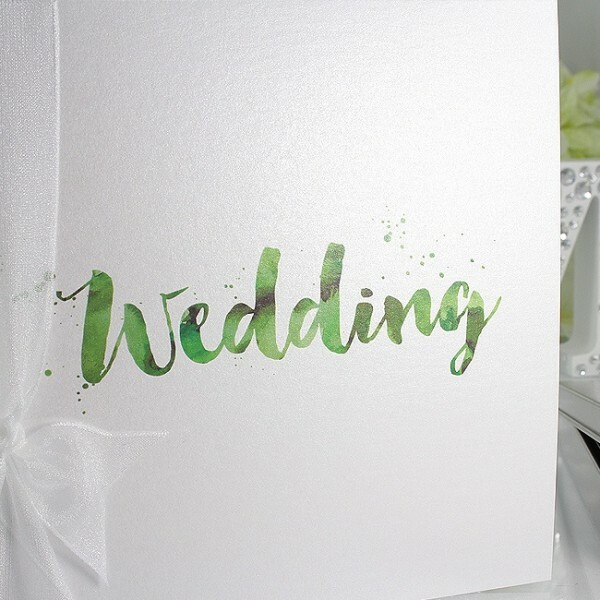 The word ‘Wedding’ pops out in the centre of this design with its unique watercolour effect, enhanced with carefully placed paint brush splashes. A classic and romantic ‘handwritten’ typography has been chosen, which is set off beautifully by the gorgeous pearlescent white shimmer board that glistens in the light. These features all provide a lovely contrast to the camouflage colouring, ensuring there are hints of femininity too! Your guests will open their invitations to find your wedding information neatly printed on a heavyweight 150gsm smooth white paper insert. The whole look is finished off nicely with a length of shimmery white organza ribbon that has been tied (you have the option to tie it yourself if you prefer) in a sweet little bow as an extra special touch, so you needn’t worry that this design is too masculine!